One of the most exciting workshops we offer is The Novel Year Program, a year-long intensive that gives novelists the opportunity to finish, polish, and prepare to publish their novels. 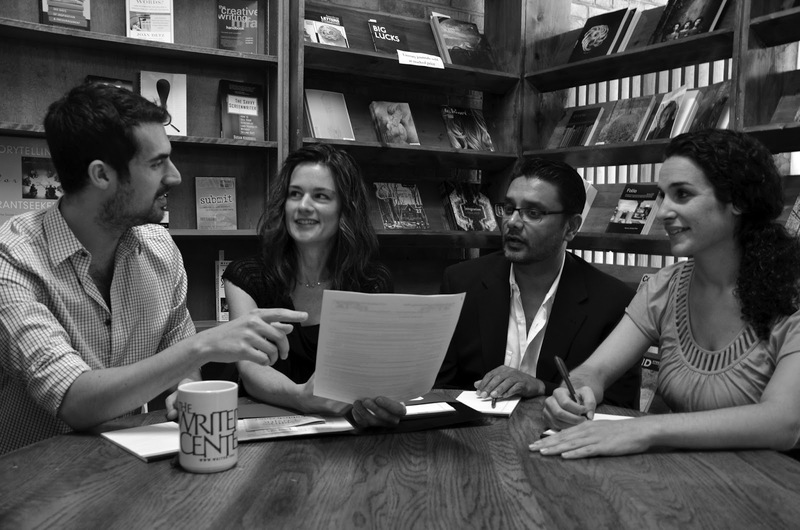 The small group of 10 meets bi-weekly and is similar in structure and rigor to an M.F.A. program but lacks the expense and time commitment that such programs require. Also, unlike M.F.A. programs, authors will workshop their entire manuscripts with feedback from other members of the group and the workshop leader, Susan Coll. The Novel Year Program is best suited for writers who have either finished a manuscript or have at least 75 pages of a novel in progress. During the course, students will have the chance to workshop over 300 pages of their book. Participants also have the opportunity to hear from guest speakers, including published authors and an agent. The course is broken down into two segments, fall and spring. The fall segment includes occasional exercises in craft, and the spring is more focused on the “nuts and bolts of publishing” according to Coll. Spreading the class out over a year gives writers the “chance to revise and take the long view of what they are working on,” Coll said. Due to the length of the class, it’s important for her to maintain a supportive environment in the classroom, which can be difficult at times. 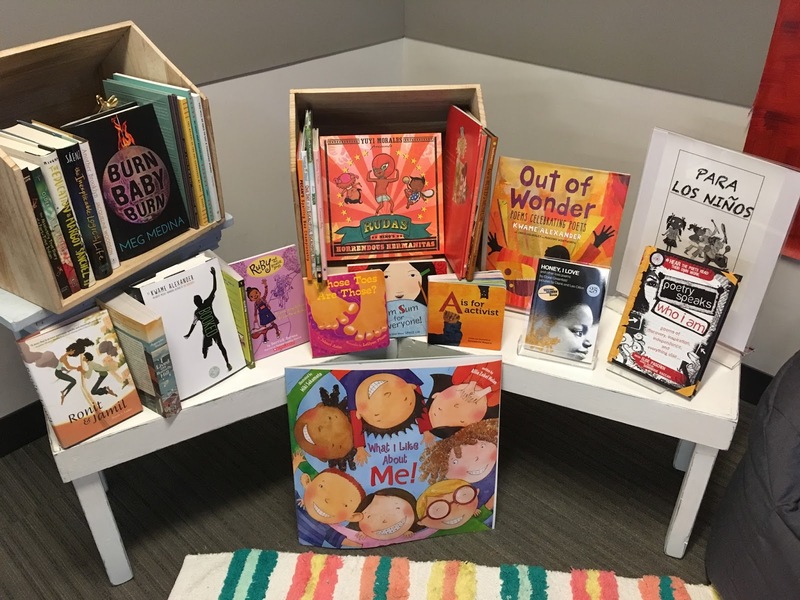 “It’s hard to be on the other end of a critique, and I’ve emphasized to my students that they are there to help one another construct the best possible versions of whatever they are working on,” she said. Interested students are required to submit a cover letter and 25 sample pages of their work. Admission to the course will be on a rolling basis, and the number of participants will be limited to 10, so participants are encouraged to submit early. If you are interested in this class, please send your submission to laura.spencer@writer.org. 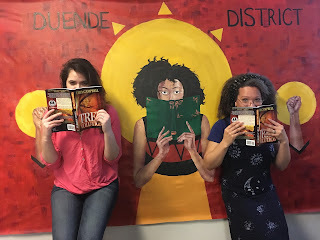 What does it take to create a bookstore by people of color, where everyone is welcome? As Duende District Bookstore enters the final days of its second pop-up venture (at La Mano Café in Takoma), it’s a perfect time to reflect upon how we got here. The vision for Duende District first began to take shape after I visited Puerto Rico for the first time since I was 12 years old. As a child of immigrants, sometimes you have to go back to the place where a large piece of your identity was formed before you were even born. That’s what Puerto Rico and Panama are to me. It shook me loose from a lifetime of living a double identity, the feeling of never being solidly formed. When you see your people on the streets of your neighborhood each day, but hardly ever in the bookstore you work at, and you go back to a country where everyone looks like you, acts like you and owns all the businesses, coming home to the exact opposite is quite a shock. I’ve been a bookseller for nearly two and half decades, and it was past time to find the courage to venture out on my own and create an amazing, gorgeous bookstore that will embrace and serve my community, as well as other communities of color, then extend the invitation to everyone. When I met Tara Campbell, a fellow writer of color, at a book group of local women writers this past February, I was only just beginning to think about what it would take to open this bookstore of my dreams. Tara is also the literary coordinator for Artomatic, a non-profit organization that hosts a six-week arts and literary festival each year in a building either slotted for demolition or change. I had left my job as the floor manager at Politics & Prose in late 2016 and my original plan had been to have a pop-up venture by the end of 2017. But when Tara mentioned that Artomatic was looking for a start-up bookstore to work with, well, when opportunity knocks, you take it. I decided to use the experience to put together the pieces of a mobile bookstore and start my first crowdfunding campaign to test the viability of the business idea. 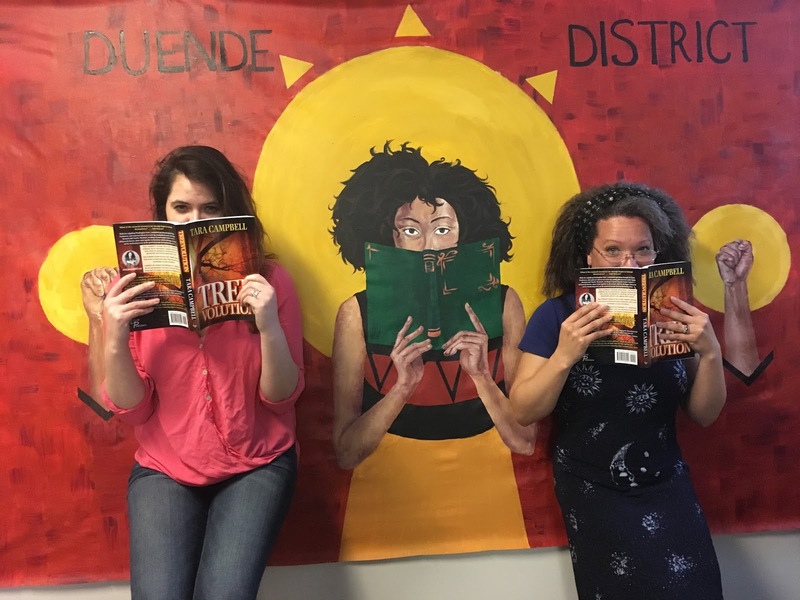 From the end of February to today, Duende District has gone from a conceptual bookstore “installation” in Artomatic to a mobile pop-up bookstore operation with a fully funded Kickstarter campaign to back its existence. We are already forming strong partnerships with different communities in the DMV and lining up future pop-up opportunities in the coming months, including The Writer’s Center in October 2017. I couldn’t have done this without such strong support of the D.C. bookstore and writing communities. For more information and our hours, visit www.duendedistrict.com. 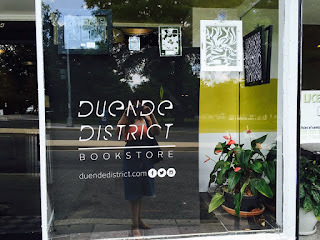 Angela Maria Spring is the founder and owner of Duende District Bookstore. She is originally from Albuquerque, N.M. and holds an M.F.A. from Sarah Lawrence. She has been a buyer and manager in indie bookstores in New Mexico, New York City, and Washington, D.C. Her poetry has appeared in numerous publications, including District Lines, Tar River Poetry, and Revolution House.